Dispensary owners in New Mexico are concerned about the future of medical marijuana in the state, fearing that proposed rule changes will create an unworkable system and put some centers out of business. The state’s health department is attempting to push through new regulations that would require pharmaceutical-grade product testing, charge patients to register for MMJ cards implement higher cultivation-related taxes. Officials argue that the changes would bring New Mexico’s program in line with medical marijuana systems in other states. The industry, however, is preparing to challenge the proposals. Dispensary owners say the new tax structure and testing requirements will create tens of thousands of dollars in additional expenses and send the price of cannabis skyrocketing. That, in turn, could force smaller dispensaries out of the market entirely and lead to an exodus of patients from the state’s MMJ program and into the arms of the black market. The changes – to be discussed at a hearing next month – would also force dispensaries to overhaul their business models literally overnight. 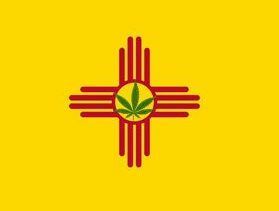 The proposed rules, recently released by New Mexico’s Health Department, primarily target patients and dispensaries. For patients, the new rules impose a $50 registration fee to join the medical marijuana program (it’s currently free) as well as an annual $50 renewal fee. For dispensaries, the regulations would require mandatory pharmaceutical-grade testing of each “batch” of cannabis, including tests for heavy metals, pesticides and microbial contamination. Dispensaries would also have to distribute cannabis products in opaque, child-resistant packaging that has a tracking number used for records-keeping purposes. The regulations would also allow roughly a dozen new dispensaries to open, and MMJ centers could grow more cannabis than they are currently allowed. This could help alleviate supply issues. The tax rate, however, would essentially change for dispensaries that want to scale up. Currently, dispensaries can have up to 150 total plants – which growers split evenly between flowering plants and seedlings to ensure constant supply. That leads to about $30,000 in taxes. Under the new rules, they could have up to 150 flowering plants and 300 seedlings, however they would face a $90,000 annual tax burden if they go that route. That amounts to triple the annual taxes, yet dispensaries would only be able to double the amount of cannabis they harvest at any one time. Erik Briones, owner of Minerva Canna Group, said that under the current system, he pays anywhere from $35,000 to $45,000 annually in cultivation taxes and other licensing costs. Under the proposed system, he believes that number could jump to approximately $150,000 if he expand to the maximum plant count, when the price of testing and taxes are included. After crunching the numbers, Briones said he would have to raise his per-gram price up from $12 to the $18-$20 range in order to break even. All of the business owners who spoke with Marijuana Business Daily expressed serious concerns over testing requirements, saying the tests for heavy metals and pesticides in particular are prohibitively expensive. Len Goodman, owner of NewMexiCann Natural Medicine, said the full-panel test will run close to $800 per batch, based on his own research. Goodman said he currently tests his products under less stringent requirements, which look for microbes and other contaminants. He said he is fine performing the more expensive tests on random samples. But testing ever batch will ruin his business model. 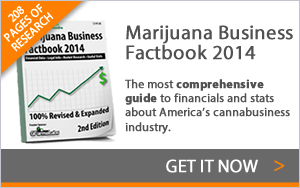 Goodman said his business is large enough to take the financial hit imposed by the proposed cultivation tax structure. But the state’s smaller dispensaries could face a dark future under the new cultivation tax structure. Goodman believes that the new system will chase more patients out of the medical marijuana program and steer them toward the black market, where cannabis is readily available. Patients already must pay $300 to $400 in doctors visits before they can join the state’s medical marijuana program. The lag time can take several months, Goodman said. At the very least, the additional $50 fee to receive an MMJ card will prevent the patient registry from growing, he said. The new system also does not address New Mexico’s medical cannabis supply problems, Goodman said. While larger growers can cultivate more plants, the added expenses could run smaller companies out of the market, which will put more of a strain on the larger companies to supply the patient base. Finally, the new rules do not allow dispensaries to open more than one distribution center, which means the lion’s share of businesses will continue to be centered in Albuquerque and Santa Fe. The Department of Health has repeatedly denied applications for a second business location, Goodman said. Goodman said he would ideally open a small satellite office in Northern New Mexico to serve communities in Las Vegas and Taos. They love the tax $$$ the MMJ industry will bring..What about the “magic of the Market”? I fear big RX companies…Will be the force that will destroy the MMJ industry. The invisible hand of capitalism will take over. Patients will go where they can get their meds for cheap. Over taxation will promote the black market trade and keep it healthy in NM. But then don’t you think that the folks running NM know that? Makes you wonder what they are really trying to accomplish in NM. Might be simple greed. The state really would like to end the program altogether and hope to do so through over regulation. The good news is excellent products are available on the black market for less than $200/oz with no supply problems, doctor visits, sign up fees, or Big Incompetent Brother to FU the transaction. Testing is needed for all cannabis products. Our small Southern California collective tests all our products. We care for the well being of our members. Those dispensaries that don’t test show a lack of respect for their patient customers. Products we purchase from other companies must have been tested. It cost us $200 or just under fifty cents per gram to do complete testing on one pound units. That includes microbiological (bacteria & yeast) cannabinoids, terpenes, and pesticides. Each seperate test is $50. We have been using the same lab http://thewercshop.com/ for the last four years. I am a Disabled Veteran who suffers from Severe PTSD and Chronic Pain, thus, the Governor of New Mexico Susana Martinez, has vowed since taking office in 2010, to shut down the program. However, she’s been unable to do so through legislation, so this is a way to get it done administratively. Just another slap in the face to Veteran’s and everday people who are suffering. No compassion, just greed from the Republican Party and Pharmaceutical Industry. Vote to end prohibition this November! Vote OUT all that oppose cannabis for they are the MINORITY! To oppose cannabis right now should be political suicide, vote OUT the haters! Word of mouth used to suffice for local markets. I agree with the (other) vet. Leave everyone alone. PTSD is not the only dis-ease that is mitigated with marijuana use. Power to the people and individual power of the voice en masse, to recoup that which is lost from non-use…liberty. Politicians be damned. IT IS SENATOR MARTINEZ THAT IS THE PROBLEM, AND NOT TO MENTION THAT THOSE WHO HAVE A LOW INCOME WILL BE FORCED TO LEAVE THE MMJ PROGRAM DUE TO COSTS, IF I HAVE TO PAY $50 FOR A CARD, AND THEN PAY WAY MORE THAN I ALREADY DO, THEN I COULD NOT AFFORD IT AT ALL, AND I BELIEVE SHE ALREADY KNOWS THIS AND SHE AND TOM UDALL BOTH NEED TO BE VOTED OUT OF OFFICE AT THE NEXT ELECTION FOR SURE !!! IF SHE CONTINUES WITH THIS ACTION SHE WILL GUARANTEE HER BEING VOTED OUT !!!! ALL WHO WANT TO MAKE IT HARDER THAN IT ALREADY IS, OR WANT TO BRING IN MORE MONEY THAN THEY ALREADY GET FROM US NEEDS TO BE VOTED OUT QUICKLY !!!! IT SHOULD REMAIN FREE TO GET A CARD, AND THE PRICES WE ALREADY PAY ARE FAR TO HIGH COMPARED TO OTHER STATES, AND SHE WANTS US TO PAY MORE???!!!!! IT SHOULD BE MADE LEGAL FOR RECREATIONAL USE IF THEY WANT TO MAKE MORE MONEY FROM MARIJUANA !! THAT WOULD BE THE ONLY ACCEPTABLE OPTION !!!! MAKE IT LEGAL FOR ALL ! !